Designed to support the World Literatures course, this project allows students to contribute to a growing archive of resources related to different geographical regions, languages, artistic genres, and historical periods. 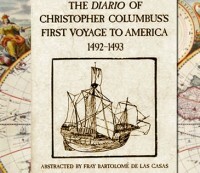 As students are introduced to various kinds of writing, including non-English works read in translation, the archive provides a wealth of supporting materials—maps from the Lewis and Clark expedition, for example, excerpts from the diary of Christopher Columbus, Claude Lévi-Strauss’s Tristes Tropiques, and images of cross-cultural connection (such as a McDonald’s sign in China). Students are encouraged to upload and add links to materials related to the key issues of the course: identity formation, cultural contact, exploration, and exile. The archive also allows students to pick, choose, and reassemble materials to support an argument. They can add comments and share their own collections in class presentations. Project Lead: Mary Fuller, associate professor of literature at MIT; Alisa Braithwaite, assistant professor of literature at MIT; and Sarah Brouillette, former assistant professor of literature at MIT.